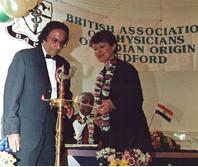 British Association of Physicians of Indian Origin (BAPIO) is a national voluntary organisation established in 1996, initially with the view to support doctors arriving from India to work in the NHS. The National Health Service has relied on International Medical Graduates for its success and sustainability. Starting from a meagre 1000-odd doctors in 1948, today there are estimated to be over 50,000 doctors of Indian origin serving the NHS. Their contribution makes a significant impact on the health of the entire population of the United Kingdom. BAPIO is committed to assisting the NHS in providing the best patient care. By promoting professional excellence and leadership, BAPIO adds value to the efforts of the HEE, GMC and educational authorities in enhancing the skills of the medical workforce. Since its inception BAPIO has actively promoted the principle of diversity and equality. Over the years the Association has grown in stature and influence. We are represented through our active Divisions covering all the English Regions as well as Scotland, Wales and Northern Ireland. It is now one of the largest organisations of its type in the country. We are a membership organisation for Doctors of Indian sub-continental origin including India, Pakistan, Bangladesh, Sri Lanka and Nepal. BAPIO is a non-party political organisation. Our activities are open to all in the profession. 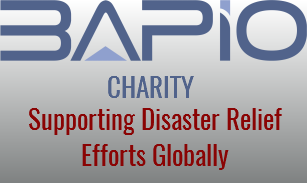 BAPIO also contributes to the cause of promoting access to better health care globally, and responds to aid victims of natural disasters in the world.